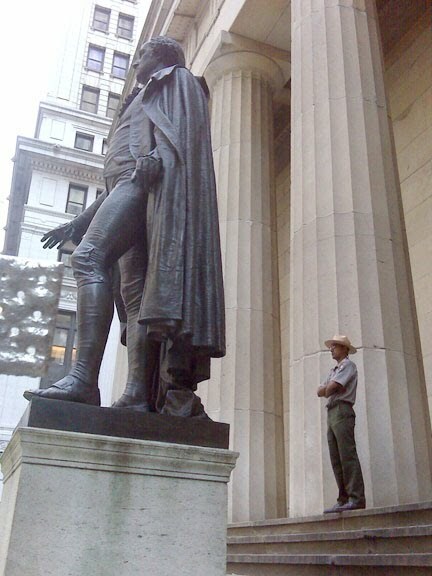 George is keeping an eye on the shenanigans of Wall Street from his perch across the street at Federal Hall. 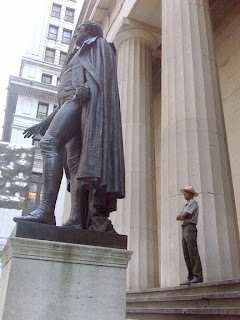 The park ranger behind him is also watching. This is where Washington took the oath to be our first President. Our first Congress and Supreme Court was in this building also.